Cannabidiol: Recent advances and new insights for neuropsychiatric disorders treatment. In-silico designing and characterization of binding modes of two novel inhibitors for CB1 receptor against obesity by classical 3D-QSAR approach. “Obesity is the fifth primary hazard for mortality in the world; hence different therapeutic targets are explored to overcome this problem. Endocannabinoid is identified as the emerging target for the treatment of obesity as Cannabinoid 1 (CB1) receptor over-activation resulted in abdominal obesity. Potent antagonists or inverse agonists for CB1 receptor are the new strategies to develop anti-obesity drugs. 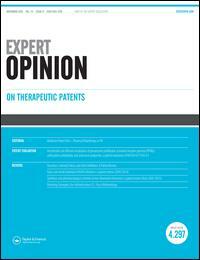 A patent update on cannabinoid receptor 1 antagonists (2015-2018). Cannabinoid CB2R receptors are upregulated with corneal injury and regulate the course of corneal wound healing. 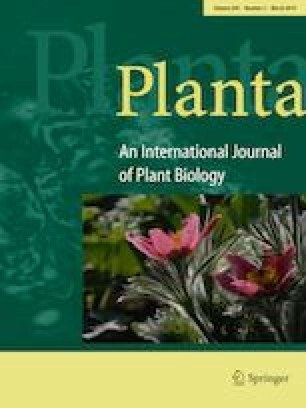 Oral administration of the cannabigerol derivative VCE-003.2 promotes subventricular zone neurogenesis and protects against mutant huntingtin-induced neurodegeneration. “The administration of certain cannabinoids provides neuroprotection in models of neurodegenerative diseases by acting through various cellular and molecular mechanisms. Many cannabinoid actions in the nervous system are mediated by CB1receptors, which can elicit psychotropic effects, but other targets devoid of psychotropic activity, including CB2 and nuclear PPARγ receptors, can also be the target of specific cannabinoids. We investigated the pro-neurogenic potential of the synthetic cannabigerol derivative, VCE-003.2, in striatal neurodegeneration by using adeno-associated viral expression of mutant huntingtin in vivo and mouse embryonic stem cell differentiation in vitro. Oral administration of VCE-003.2 protected striatal medium spiny neurons from mutant huntingtin-induced damage, attenuated neuroinflammation and improved motor performance. VCE-003.2 bioavailability was characterized and the potential undesired side effects were evaluated by analyzing hepatotoxicity after chronic treatment. VCE-003.2 promoted subventricular zone progenitor mobilization, increased doublecortin-positive migrating neuroblasts towards the injured area, and enhanced effective neurogenesis. Moreover, we demonstrated the proneurogenic activity of VCE-003.2 in embryonic stem cells. VCE-003.2 was able to increase neuroblast formation and striatal-like CTIP2-mediated neurogenesis. The endocannabinoid system in migraine: from bench to pharmacy and back. “Migraine is a common, highly disabling disorder. Its treatment involves acute and preventive therapy. Many of available preventive medications are not well tolerated, which results in poor compliance and limited effectiveness. Cannabinoids have been proposed for the treatment of migraine but their efficacy and tolerability are controversial. Cannabinoids modulate functions and activity of signaling pathways that have a key role in pain control. 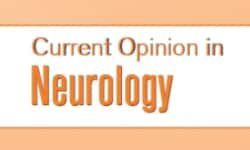 Growing preclinical evidence and initial clinical findings suggest that modulation of the endocannabinoid system, via endogenous or exogenous cannabinoids may be relevant for migraine via multiple mechanisms. Role of the endocannabinoid system in neurological disorders. Analyzing the role of cannabinoids as modulators of Wnt/β-catenin signaling pathway for their use in the management of neuropathic pain.